The new album for the Avett brothers came out - Magpie and the Dandelion - and that pretty much dominated my playlists this past week. Also, the old-newish Fall out Boy album resurfaced on my playlists after a few weeks absence and that was about it, to be honest. 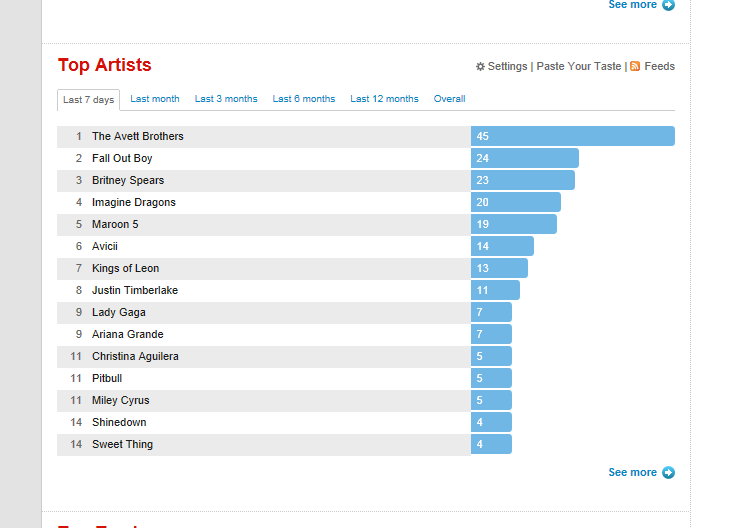 The rest were pretty much the norm as far as who was on it this past week with the exclusion of Imagine Dragons which returned to my mot plays after a month and a half or so off it completely. Not doing a 'what I watched' this week because to be honest I've been sleeping a lot with the weather changing as autumn rolls in heavier and colder.